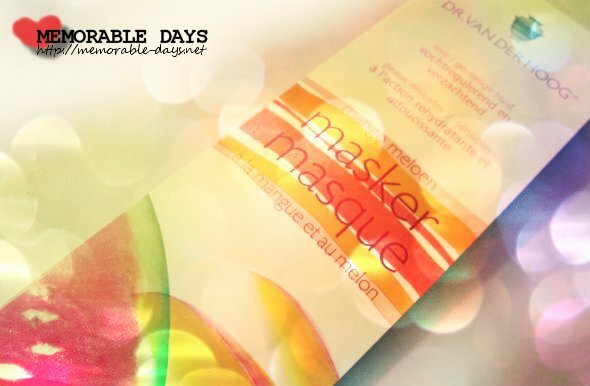 Review: Dr. van der Hoog Mango Meloen masker | Memorable Days : Beauty Blog - Korean Beauty, European, American Product Reviews. 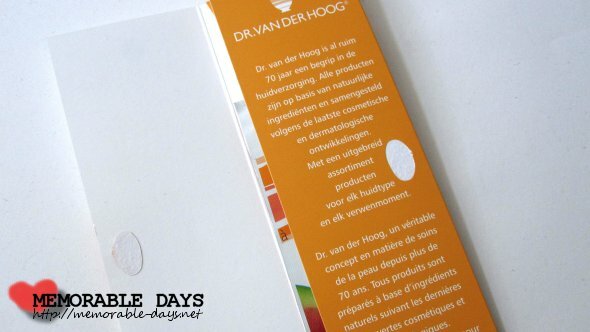 In this blogpost I will be reviewing the mango melon mask of the Dutch brand Dr. van der Hoog. People in The Netherlands should know this well-known brand ^__^. This mango melon mask has soothing & moisturizing properties and is suitable for sensitive skintypes. 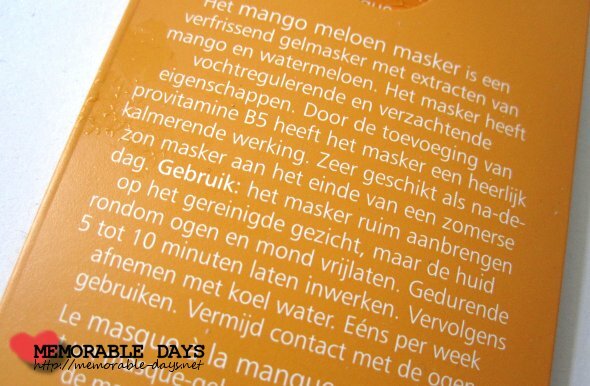 Eventhough I have a combination dry skin, I'm going to try this mask anyways because I love mango hehehe ♥. This mask costs €2.05 and there is 10 ml in it. It's enough to apply it on your neck as well. The packaging looks very fresh, it's white and orange with a mango and melon on it. When you open the lid you will see the mask and a short intro about the company and their assortment. The description and instructions are at the back of the packaging. It's a refreshing gel mask with mango and watermelon extracts and you can definitely smell that. It's a lovely scent and this mask is great after a long, tiresome day or by the end of a sunny day. Aqua, Glyceryl Polymethacrylate, Glycerin, Alcohol denat., Propylene Glycol, Mango (Mangifera Indica) Extract, Watermelon (Citrullus Vulgaris) Extract, Panthenol, Carbomer, Xanthan Gum, Methylparaben, PEG-60 Hydrogenated Castor Oil, Methyldibromo Glutaronitrile, Phenoxyethanol, Sodium Hydroxide, Disodium EDTA, Perfume. All you have to do is, tear the packaging open and use clean fingers to apply the mask on a clean face. Leave the eyes and mouth area open. Wait for 10 - 15 minutes. When it's time, wash the mask off with cool water. This is really one of my favorite Dr. van dr Hoog masks that I've tried. It was very refreshing and relaxing when I had the mask on. It felt even more refreshing when I washed it off with cool water. It's definitely a great mask after a sunny day. My skin felt soft, fresh & moisturized afterwards ♥.